Hollywood Hills East - Los Feliz - Silver Lake - Echo Park, Highland Park, Mt. Washington, Eagle Rock, Downtown L.A. Interested in areas outside of the Eastside? We are also happy to refer you to exceptional agents in other areas of Los Angeles, Beverly Hills and Orange County. TheEastside.co are a team of agents that work with the brokerage Compass . We consider the boundaries of the Eastside to be Hollywood Hills as the western edge and Pasadena as the eastern edge. In between are Los Feliz, Silver Lake, Echo Park, Mt. Washington, Highland Park, Eagle Rock, Downtown, Glassell Park and Atwater Village. There’s a reason Imraan is LA’s most referred Eastside agent. A native Angeleno and current Eagle Rock/Silver Lake resident. For hundreds of clients he is a trusted resource and delivers lasting value long after the sale is complete. When representing sellers his team's marketing efforts begin long before a property hits the market. His team of stagers, designers, contractors, social media experts, copy writer and architectural photographer work together to prepare his listings so they sell for the highest possible price in the shortest amount of time. His market knowledge, effective marketing strategies and comfort with technology, coupled with his non-antagonistic and effective negotiating skills have consistently netted his sellers higher than average net amounts for their properties since 2004. Beyond his selling skill set, Imraan customizes each transaction based on the client's specific needs. You can feel the appreciation and love his clients have for him and his team as you read the reviews below. A native New Yorker, Amir landed in California in 2010 and immediately fell in love with both real estate and the east side of Los Angeles. His eight years of experience informs his proven ability to anticipate client needs and guide them throughout the transactional process, ensuring that they are protected and their voices are heard. Amir has a sharp and detail-oriented mind for technology and logistics, but it’s his deep interest in people that truly drives him. He is attentive, personable, and patient with clients, and his diverse background, which includes artist management at a recording studio and experience as a certified Genius at Apple Inc, has taught him to think outside the box, which has resulted in stellar communication skills and the ability to negotiate and advocate for his clients. As an agent, he utilizes his vast knowledge of technology to find the perfect home for his clients. As a longtime resident and staple of the Eastside community, he takes pride in introducing his clients to all the people, places, events, and taco trucks our side of town has to offer. 20 years ago, Tanya arrived in Silver Lake to meet her newborn niece. She never left. Since then, she has witnessed the dramatic transformation of the area. Her past experience, as both a personal assistant and estate manager for celebrities and corporate CEOs, helped her to develop and hone skills and personality traits that make her a highly sought after real estate agent. Tanya's personable, well organized, energetic, professional approach serves her clients well in high pressure situations and when confidential information must be handled with discretion. 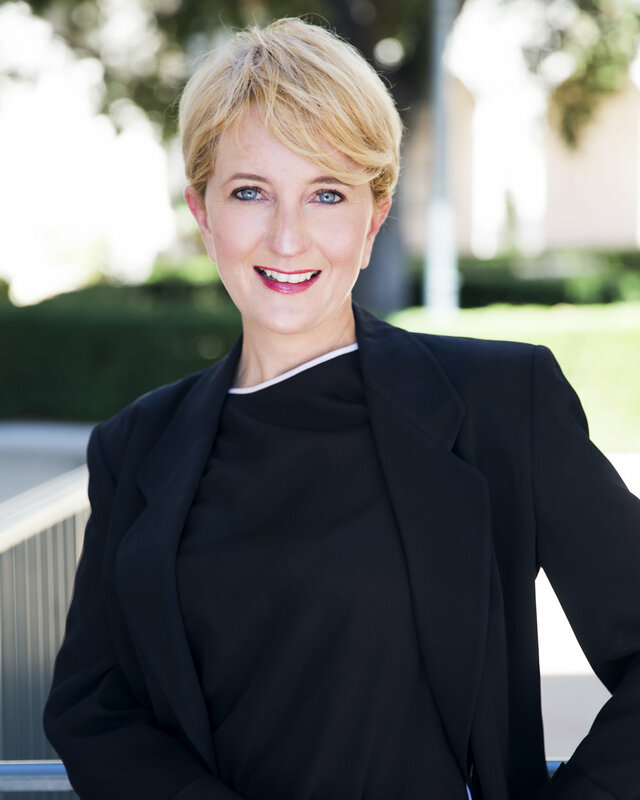 Her extensive network of personal and professional relationships is a hidden asset that she offers every client—from finding seasoned architects, contractors, or top interior designers, to drought tolerant landscape specialists and friendly handymen. As a devoted mother of a 10 year old girl (and a five year old Labradoodle), she can speak honestly about the advantages and disadvantages of the public and private schools in the area, where to find tennis lessons, or the closest off-leash dog trail in Griffith Park. CHRISTIAN C. - HIGHLAND PARK : I first met Imraan at an open house and spoke for about 40 minutes. Immediately it became clear that not only does he have a vast knowledge of the area and real estate, he is very passionate about what he does. I told him about my plan to sell my house in Burbank and hopefully buy another one in Highland Park. Imraan and his team created a list of what needed to be done to the Burbank house and helped every step of the way. He was up to date in using the latest resources and technology (including hip staging and creating a 3D walk-through viewable on any mobile device). In the end, we received over twenty-five offers for the house and sold $122,000 over the asking price. I know that this wouldn't have happened had it not been for The Eastside Co. While all of this was going on, Imraan suggested I purchase an investment property, which I had never even thought about. It's that sort of expertise that you get with him. If you haven't done this before, or even if you have, there is always something new to learn. After looking at several places, we were accepted on a backup offer (we submitted these upon Imraan's suggestion) and got the house! Imraan was and still is available anytime that I have needed him. I'm really happy to be a client and a friend. DARIA R. - SILVER LAKE: Working with Imraan on my first home purchase was the best decision I could have made. His knowledge, enthusiasm, professionalism, and cool demeanor made me feel confident and supported during each step of the process. He always made himself available to me whenever I had a question (and if you are a first time buyer, you will have many...), and his point of view was always well thought out, personalized, and honest. Even after we closed, Imraan responded quickly to any question I had, and also put me in touch with excellent contractors and technicians to help me ease into my renovations. I couldn't be happier with my buying experience or my new home! BRAD BERLING - HIGHLAND PARK: Imraan was an outstanding agent. He showed us a wide range of listings with no pressure, and learned carefully from every single showing to quickly focus on what was the right fit for us. He has endless patience but also won't waste your time. I can also say that Imraan knows how to negotiate in an extremely tight market to get you what you want, even when it seems impossible and you are up against other highly qualified buyers. His experience proved valuable as well: we used his network of loan brokers, contractors etc. and he often knew listing agents which gave us the inside track on each situation. I would say Imraan is an excellent agent and you may find others with the same level of professionalism, but the thing that makes Imraan stand out are his skills at closing and negotiating amidst stiff competition in the market. We could not be happier with our new home. JEN SCRUTON - HIGHLAND PARK: Thanks to Imraan we wake up every morning in our new house and pinch ourselves. He found us the perfect house that embodies everything we were looking for! Imraan is very efficent and was always available to answer any questions we had. The thing we appreciated the most was his honesty and patience when it came to finding the right place for us. I will only recommend and use him as my realtor moving forward. RAY AND JESSICA MAKHANI - ECHO PARK: Imraan and his team were a great pleasure to work with. My wife and I have done a few real estate transactions between the two of us, and this was, by far, the most seamless, professional experience we had. Imraan's knowledge, connections, and zen approach are a breath of fresh air. VICTOR MORALES - MT WASHINGTON: Imraan was invaluable as my agent for my recent house purchase. He provided great input on the houses we were looking at, including if it was in a good location, the layout, future possibilities in regards to remodeling, how it would fit into my lifestyle, and he was spot on with estimates on the appraisal. He structured the offer on the house perfectly so that there was no haggling and during the closing process was on top things to help me close as quickly as possible. I would recommend him to anyone without reservation. QUDDUS - LOS FELIZ: Imraan did such a great job as my real estate agent that I recommended him to two of my best friends. He proceeded to do such a stellar job for them that they recommended him to other friends and now I'm recommending him to YOU! Imraan is the kind of real estate agent that goes above and beyond what his job description requires because he actually cares. I've always gotten the sense from Imraan that being a real estate agent isn't about the money, it's about supporting people to live their best life and enjoy a home that reflects that. It's been 7 years since he helped me buy my first home and I still call him with any issues about my property. He's always quick to call back with a helpful suggestion. PATRICIA COLEMAN + JOSE PARDO - SHERMAN OAKS: Imraan is smart, patient, skilled and ethical, he leaves no stone unturned - super professional! He guided us over many months as we searched for a home in a difficult market with minimal inventory. He handled difficult personalities on the other side of the transaction, and we always felt that he was looking out for us and only us. The best! MICHAEL HAYES AND MICHELLE JONAS - BEACHWOOD CANYON: Imraan proved very valuable in the negotiation process and was able to distinguish himself to the sellers agent which we feel helped us ultimately secure our property that had interest/offers from several qualified buyers. We were very pleased with his approach/strategy and would definitely recommend him to others. He is honest, patient and observant and these traits, which serve him well, were also very valuable to us as first time home buyers. LYNN STEPANIAN - HANCOCK PARK: For the past seven years Imraan has been our agent. He is trustworthy and very knowledgeable in his field. He has always gone above and beyond what was needed no matter what time of day. Simply the best. ALEX SYMCOX - ECHO PARK: Imraan Ali helped me buy my first house. This was in 2005 during the frenzy for real estate before the recession. He patiently worked with me as we bid on house after house. Finally he guided me through the difficult negotiations for the house I purchased, still own, and am very happy with. In the years since I have continued to look at property and I have met many real estate agents along the way. To me, Imraan seems cut from a slightly different cloth than your run of the mill agent. You can tell he's one of those rare people who actually enjoys what he does for a living. It shows in his demeanor and his approach. He takes a genuine interest in his clients. Neither aggressive nor pushy, Imraan is an even-keeled rational advocate during a real estate deal. Furthermore, aside from anything warm and fuzzy I may say about his personality, to this day, I still call him with my real estate and business questions because he understands the finer points of financing, property valuation and where to invest. RACHAEL COHN - MID WILSHIRE: Imraan helped me rent a house, and helped two different friends buy homes. In each case, stellar job. Couldn't ask for a better guy, super attentive, intuits needs before they're even asked, honest, whip smart, all-around excellent human and realtor. SCOTT GAFFIELD + JILL MILES + MILES GAFFIELD - SILVER LAKE: Imraan started as my real estate agent, but I now consider him a friend. He's knowledgeable about the area, and he's happy to share that knowledge without applying any pressure. When we were ready, he guided us seamlessly through the purchase process, and now, 3+ years later, we're really happy with the deal we got. MARCO DOMINGOS - SILVER LAKE - HOLLYWOOD HILLS - BEACHWOOD CANYON: Like going on a road trip with a plan, playlist and well thought out map... Imrann's approach in finding someone a home or marketing a home for sale is equally cerebral (appealing to or requiring the use of the intellect) & emotional (relating to feelings and the way that they affect your life). This is unique to the real estate industry as I believe many real estate agents care less about (or know) anything but the "deal" or themselves (the agent) and not the Buyer (or Seller), the home or "is this the right fit" for either. Personal footnote to aid with this review... I have personally purchased over 40 homes using Imraan or other another real estate agents. SARAH WASS - SILVER LAKE: Imraan is one-of-a-kind. He is extremely knowledgable about real estate, staying on top of current best practices, changing regulations and trends. He is also just a great guy - helpful and ethical with a generous soul. Imraan doesn't just want to close the deal; he really wants to find you the best house at the best price for you and your family. Imraan helped us find our dream home in Silverlake in a neighborhood we love but would have never discovered or even considered on our own. He helped us negotiate the best price and was with us every step of the way. And, after we bought our house, he came over to clean the gigantic vintage stove that the previous owners had left in the garage and helped us sell it on craigslist. Seriously. If that's not going the extra mile, then I don't know what is. STEVEN THACHUK - SILVER LAKE: Its hard to review like this without it sounding fake, but this really represents my feelings about Imraan. In short, a person could not want for a better person to handle their real estate affairs. Imraan is truly one of the most honest, honorable, hard-working and generous people I have met in any walk of life and is a true gentleman. My wife and I met Imraan when we was minding an open house in Los Feliz in 2009. We were dissatisfied with our agent at the time. Imraan talked to us for a while, and after 5 minutes chatting, we decided to switch to him. He worked TIRELESSLY for 2 years. He found properties that we wouldn't have considered, talked to contractors, dealt with bankers and foreclosure agents. Imraan always gave us his honest opinion, and took the time to get to know us, so that he was able to find us the right house. So after 2 years, easily 20 offers or more, with various reasons they went wrong (often bizarre...and Imraan was always in good humor about those), he achieved what we thought was impossible, to find an affordable 3 bedroom 2 bath house that was 1400+ sq. feet in Silver Lake/Los Feliz. He negotiated an unbelievable deal, helped with inspections, and we had a painless escrow. Even after the sale was done, Imraan arranged the sale of items that were left in the garage when we took possession, sat in our driveway and waited for the people to pick them up, and gave us ALL the money form the sales. He wouldn't take a dime. To this day, he is a family friend, and has checked in as our family grew from my wife and I and a couple of cats, to the addition of our dog and now our daughter. We are truly grateful for his help in creating our family's future, and I feel safe in the knowledge that I can always call him with advice about homes and home repair. Five stars truly isn't enough for Imraan Ali. The world would be a better place if their were more professionals like him. MICHELLE PAYMAR - BEACHWOOD CANYON: It has been a pleasure working with Imraan. As our rental agent for the past 7 years, he has found us excellent tenants who appreciate the perks and quirks of our property. I recommend him without reservation to anyone looking to sell, rent, or buy a home. YASMIN MASTAN - BEVERLY HILLS: I find Imraan to be trusthworthy and honest ...He is very knowledgeable and provide excellent service/support. I will seek his expertise in selling/renting my Pent house in Los Angeles.